My last encounter with Anton Zinkl-Singer was with Dance Music for Insects back in 2002. For this outing, his seventh, the insectoid clicking that characterized that album is gone, replaced by more ethereal tones, as befits the subject matter. Instead of numerous short tracks, this time we get four longer ones with multiple sections. The longest is “The Lucifer Affair” and it is a tour-de-force of inventive arrangement, with passages of uplifting organ, heavy could-be guitars, gentle harpsichord, percolating percussion, quirky mono-synth solos, and eerie effects; in spite of the wide palette, there is a thematic coherence that keeps it all from just sounding schizophrenic. 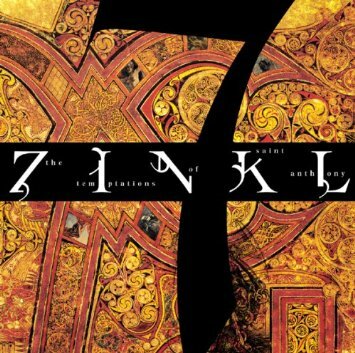 Zinkl certainly has a different take on electronic music than anyone else I’ve heard, and the influence of 70s progressive rock is apparent in the sometimes hyperactive polyphony. This is not EM built upon repeating loops and sequences. Parts of it are almost like long-lost Gentle Giant tracks redone by an eccentric technologist. But then it moves along, for no musical idea hangs around long in this sonic journey. All the timbres, whether created digitally or not, are carefully sculpted to fit the moods, and have an emotive, rather than a mechanical, quality that belies their mostly artificial nature.